Lucky Kids > Blog > Is it necessary to prepare in advance the child before the summer camp? If you are wondering whether to enroll your child in a summer language camp, then be sure that if you do so, you will take a step towards the right direction for your child. 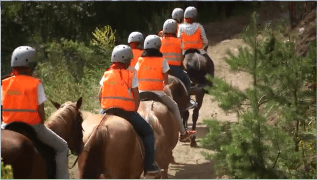 The summer language camp offers adventures for children that they otherwise wouldn’t experience in some other place during the summer. The stay in a given children’s language camp provides children with the opportunity to improve their English language skills, as well to experience countless educational and fun games, that will make the child to be more active and to learn valuable life lessons. Moreover, this will help them adopt valuable social and cognitive skills. The children’s language camps train the minds and bodies of the children during the summer, making them stronger, healthier, smarter and more self-confident. 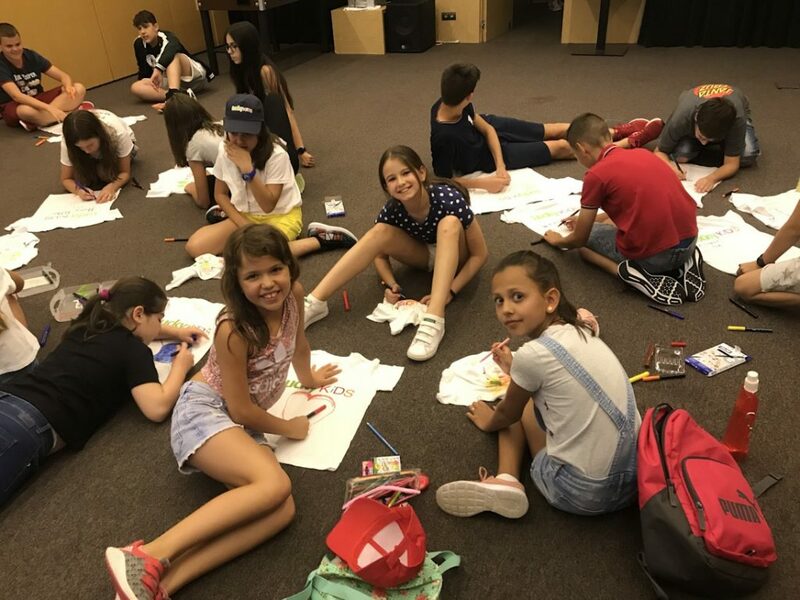 However, going to a children‘s language camp during the summer may cause a period of stress for the child, making him feel anxiety and lack of enthusiasm with regard to the upcoming fun adventures in the camp. If the child hasn’t been to a children’s language camp yet, therefore doesn’t know what to expect and is scared of the unknown, which is absolutely normal reaction in most children. Such situation occurs mostly with regard to children who go to the camp for the first time. This children’s behavior may be due to many reasons. The preparation before going to any camp is very important. This moment is essential to the child, because if it is skipped, the chances for the child to feel uncomfortable and not well are very high. We should not underestimate the preparation before a summer language camp, because it will help the child integrate more easily in the camp. The good preparation before the children‘s camp has only benefits for the child and it guarantees that he/she will have a great vacation and a lot of fun. Is the psychological preparation of the child important before the language camp? The psychological preparation of the child before going to a language camp is very important. In such cases, having a preliminary conversation with the child before departure for the camp is mandatory. As parents we have to know how our child feels and what are his thoughts regarding the idea of going there. If we have questions related to the conditions of the camp and the needs of our child, we should not hesitate to speak to the teachers and organizers in the camp and ask them these questions. If our kid has certain allergies or a health problem, or had a virus, we must inform the organizers about this, so that they can make changes in the dietary regimen of the child, as well to observe the kid if there is need to help him/her with something. When the camp team is familiar with the health problem of a child, they will pay more attention to it and will assist the kid if needed. If our child suffers from chronic problem such as asthma and diabetes, the medical examination before going to the camp is obligatory. If necessary and your child doesn’t stop feeling high levels of anxiety and insecurity, we can consult a child psychologist or take tips from books on how to easily prepare the kid for the camp. It is good if the child also participates in the decision making with regard to the preparation and reads with you. It is important for the child to be aware of the importance of the preparation, as well of the fact that all this is for his own good. The kid must be aware of the benefits of the camp and what valuable things will learn there, if he/she gets rid of the fear and goes there. Lift the child’s spirit and say to him/her that you believe in his abilities to cope with different situations on his own and to achieve positive progress in the learning process. The approach is individual and depends on the character and feeling of your child. What kind of accessories does your child need for a children’s language camp? What should we pack for the children‘s camp? The school supplies and aids for the entire training period are usually provided by the camp management. As for clothing, however, always pack comfortable clothes for your child, that have already been worn, do not pack new clothes. Clothes should be in dark colors, with breathable and comfortable fabrics, easy to wash from different types of dirt and pine resin, because the child will be actively involved in activities in nature and should feel as comfortable as possible. Also are required school supplies such as cases with tools for writing and drawing for the classes. Regarding the accessories such as toiletries, pack in the luggage the most important ones that the child will need. Items like books, diary, swimming goggles are of secondary importance. Don‘t forget, however, to pack a sunscreen and a hat that will be necessary for the mountain. It is unnecessary to give the child a lot of money or jewelry. The language camp will provide sufficient food and drinks for the children. If your child is taking a prescribed medicine, you have the right to give this medicine to the team of the camp that will take care of your child in order not to miss taking the pill. The children are not allowed to store with themselves any medicines and medical products without prescription. Last but not least, remind your child to drink enough fluids and not to forget the bottle of water. The insufficient water intake during physical activities in the nature, in hot weather, leads to dehydration. Also inform the kid that sharing hats, helmets, hairbrushes with the other children can lead to lice infection. We will present to your attention some useful tips on how to prepare mentally the child before the language camp, as well on what supplies are required. Since we are not going to be together with the child in the camp, it is recommended to talk with the kid and inform him, that he will be making decisions in some situations without the control of an adult. This is one of the skills that the children learn in the camp – to be independent and take responsibility for their decisions. In the children’s language camp the use of mobile phones during the classes and the games is prohibited. All children have the right to make phone calls to their parents, but most of the time they are encouraged to make decisions on their own, so this is what we have to prepare our kid for. One of the ways to stimulate our child is to show him pictures of the camp and of children having fun during the games. Find informational materials about the camp, watch videos together. Read him information about the camp and what is available there, what entertainment it offers, what base it has and so on. The more informed one child is about the camp, the easier the preparation will be. It will be very good if you could meet him with children who already have been to such camp, because this will stimulate him more. Highlight the positive sides of the camp, because there are much more than the negative. Talk calmly with the child, without arguing. It is important, however, not to create unrealistic image of the camp. Just mention the things that are actually available there and tell him why children who came back of the camp really want to return there again. This can help him understand that there is nothing scary and the language camp actually is a great place, where he will meet new friends during the holiday and will learn new things that will be useful in school. In the period before going to the camp, it is recommended the child, especially if he is little, to get used to sleeping out of his own home. Sleeping in houses of friends will help him adapt easily to a new environment and circumstances. Another way to help the child gain more responsibility is by assigning him different tasks at home, such as shopping of products, arranging and cleaning of the room, as well packing of the luggage for the camp. During the camp it is quite normal for the child to feel sad and miss home. In such moments items like favorite teddy bear or a photo from home can help the child to cope with these feelings. Granting the right of own choices is one great way to make the child feel as an individual, who can make his own individual decisions for himself. Your goals for the child may be entirely different from his and in most cases they really are. When the child arrives in the camp he may like some places more than other, which, for example, we preferred when we were kids, if we visited such camp. It is important to accept what our child thinks, as well the places that he likes for games. Don’t prepare him a program with tasks or a list of things to do. Let him decide in which direction to improve his knowledge and skills, as well let him set his goals for achievement during the camp. The children’s language camp is a place where children can have fun and adopt new foreign language skills in a natural way without being burdened by grades and remarks, as it is in school. This is one of the reasons why the camp methods work. The children “gain” knowledge through games and classes, presented in an interactive and fun way.